WHY ASK FOR A GRADING REPORT? A cruise ship vacation offers a sea of buying options for diamond or colored gemstone jewelry. To get the best value for your memento, it pays to do some homework and know the risks of buying jewelry while on a cruise. Start with a budget – and stick to it! For many, cruise ship travel is a once-in-a-lifetime opportunity to visit exotic locales, celebrate a special occasion, or vacation with resort-style amenities in a safe and secure environment. The desire to purchase a memento of the trip, whether on board or in a port of call, is not uncommon. Jewelry is a popular choice. But if you are going to spend hundreds – or thousands – of dollars on a purchase to remember your once-in-a-lifetime experience, you need to do some research before your leave, be aware of possible pitfalls during the purchase process, and protect yourself and your purchase when you get home. Virtually everyone involved in your purchasing process, whether on the cruise ship or in port, will be working on commission. This includes the shopping consultant associated with the ship (but probably an employee of a group of stores), the manager of the store and the salespeople. Even the cruise ships get a commission. Jewelry shops are up against stiff competition from the multitude of other stores close to the dock. As a result, pressure is very high to sell. Even if you start by indicating that you are just looking for a simple pair of earrings as a memento, there will be pressure to up-sell and move you to more expensive items. Start with a budget and stick to it! To protect yourself, determine – in advance – how much you are comfortably willing to spend on your vacation jewelry memento. Establish a budget, keep the budget to yourself, and walk away if the experience is not the pleasant one it should be. It’s easy to overspend in the excitement of the cruise. Remember: It’s your money and you control the transaction. Buy that perfect bauble on your terms. In many of the smaller ports, most jewelry stores pop up only during the tourist season. So it’s important to find out what the return/replacement options are once the store closes at the end of the season. Too often, returns are nearly impossible. Start with a nonnegotiable deal-breaker for all jewelry purchases: Anything you buy must come with a no-questions-asked, 60-day return policy – in writing. You may be offered a 30-day return policy. But it will often take you much longer than 30 days to gather the necessary information for the return, so make sure you don’t compromise on the time. As part of your purchase, make sure you understand the terms of sale: the rights and obligations between you and the seller. You’ll probably find these on the back of the sales slip in small light print. 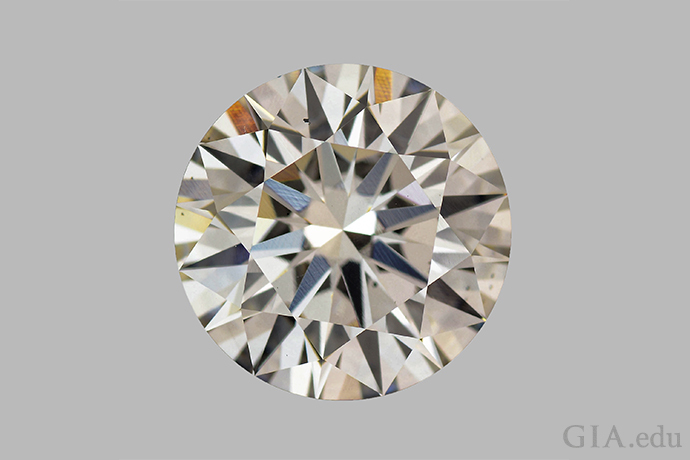 The diamond can only be returned if an independent laboratory finds its color grade to be at least two grades different from what is described by the store. This means you’ll need to arrange for someone to unset the diamond and submit the stone to a lab for grading. This will take some time – all at your cost. Returns are only acceptable with a new grading report issued by XYZ Lab. Some labs have stricter grading standards than others. If your diamond was graded by the retailer’s lab of choice, he might not want you submitting the stone to a lab with different (or stricter) grading standards. Appraisals must be done by appraisers authorized by our store. You should be able to have the stone appraised by any credentialed, independent appraiser, not just a few that the store has hand selected. “Buyer’s remorse” is not a valid reason for a return. These contracts often limit the reasons for a return. Read carefully and don’t accept these terms. It is not a valid reason to return of a piece of jewelry that was appraised at a lower value. Some contracts say that value difference is not a legitimate reason for return. If you’re offered an in-store credit plan, examine the terms carefully. The plan may have return limitations that your credit card doesn’t have. Also, check with your credit card company before you leave. Some credit cards provide protection against fraudulent (misrepresented) transactions as well as theft or loss of the item. Find out how much time you have to dispute a charge and the steps to do so when an item is purchased outside the country. If you bought the item at a store thousands of miles from home, what are the chances you’ll be returning in the next few weeks? This is why you should only use a credit card that you know will allow you to dispute charges if necessary. Be wary of trade-offs. For example, you may avoid paying taxes on a ring purchased in a tax-free port. But the ring itself might be priced significantly higher than a comparable one at your local jeweler, negating your savings. Hold your ground if a salesperson is aggressively selling a product at too high of a price. Stick to your budget and don’t fall for the hard sell. You can always say “thank you,” walk away and make a purchase when you return home. Purchases must be declared to customs when you disembark. For some purchases, you may need to pay duty, which can add significantly to the price of your jewelry. Be sure to learn what your obligation will be before you buy. 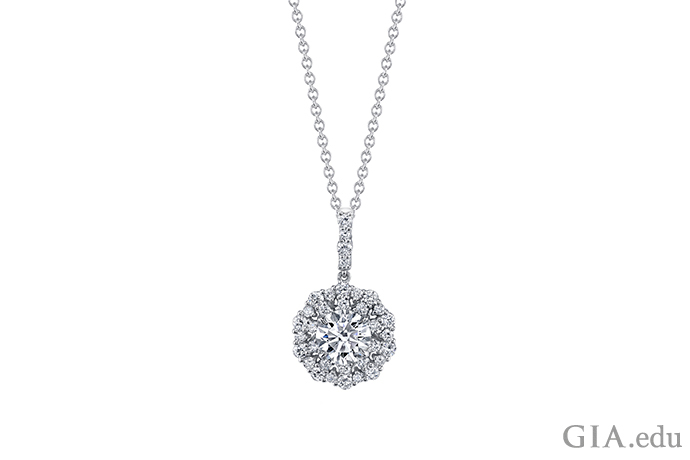 This pendant with a round brilliant center diamond reminds us of a setting sun aboard a cruise ship. 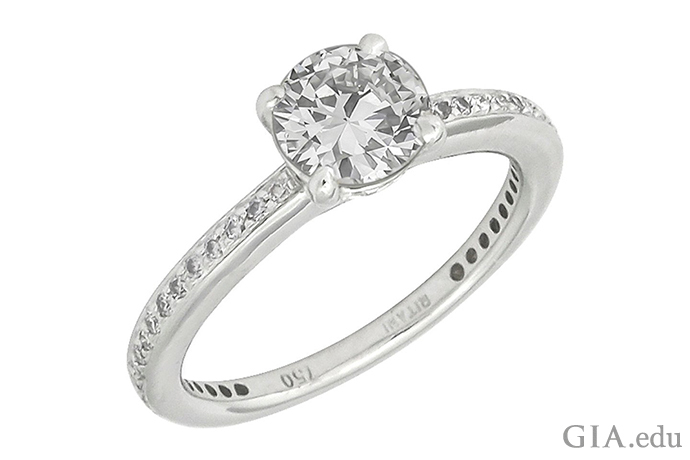 The center stone is surrounded by two rows of diamonds of varying sizes made in 18K white gold. Courtesy: evelynH. Jewelry Inc. Prior to booking your dream cruise ship vacation, you probably spent time researching your options to find the travel package with the most value. The same logic holds true when buying diamond jewelry or colored gemstones while on a cruise ship or in port. Knowing the basics about gemstone quality and having a feel for prices can help you recognize a good deal when you see one, or an offer that’s just too good to be true. 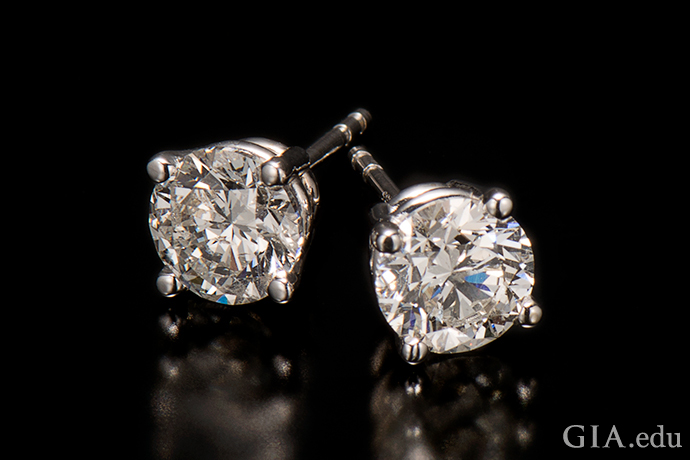 Before you leave for your trip, take the time to learn about the famous 4Cs: Color, Clarity, Cut and Carat Weight. These are the factors that determine a diamond’s quality and value. A quality diamond with impressive 4Cs is rare. The rarer the diamond is, the greater its value will be. If you shop for diamonds aboard ship or in port, you’ll probably look at several stones before deciding on your purchase. As you consider diamonds and prices, it’s essential that you make an apples-to-apples comparison. The diamonds should be virtually identical in weight and shape. They should have the same (or similar) color, clarity and cut grades, determined by the same grading laboratory. This way, you have objective markers of quality which will help you determine the best value. Most diamonds will glitter and sparkle under the store’s spot lights. But if you want to be sure of a diamond’s beauty, it’s important that you view it under different lighting conditions. Look at the diamond under diffused lighting – fluorescent lights that bounce light off a white ceiling. Look at it again under a balanced combination of spot and diffused lighting. And finally, look at the diamond in natural daylight: directly under the sun, or under the dappled shade of a tree that breaks up the light as it reaches the diamond. You also should know about diamond treatments, man-made (also referred to as synthetic or lab grown) diamonds and diamond simulants. Diamond treatments are processes used to improve a diamond’s color or clarity. Lab grown diamonds are man-made diamonds, grown in a laboratory or factory. Diamond simulants are imitations that may look like diamonds but do not have the same chemical, physical and optical properties. Examples are cubic zirconia (CZ) and moissanite. Treated diamonds, man-made diamonds and diamond imitations typically cost considerably less than natural, untreated diamonds. So be sure you know what you’re paying for. Sellers in the United States are legally obligated to disclose all diamond treatments and lab-grown diamonds, and to correctly identify all diamond simulants. Disclosure laws vary from country to country, and you should be aware of the laws governing jewelry sales on the cruise ship and in the countries you’re visiting before making a purchase. Regardless, insist that the salesperson confirm in writing that the diamonds are natural (not lab grown or simulants) and untreated. Your best bet is to insist the diamond come with an unbiased, independent grading report from a respected international laboratory, like GIA. Shopping is one of the highlights of a pleasure cruise, and while you’re strolling through the ship or exploring in town, you’re likely to see enchanting colored gems calling at you from display cases. But how to pick an exceptional one? 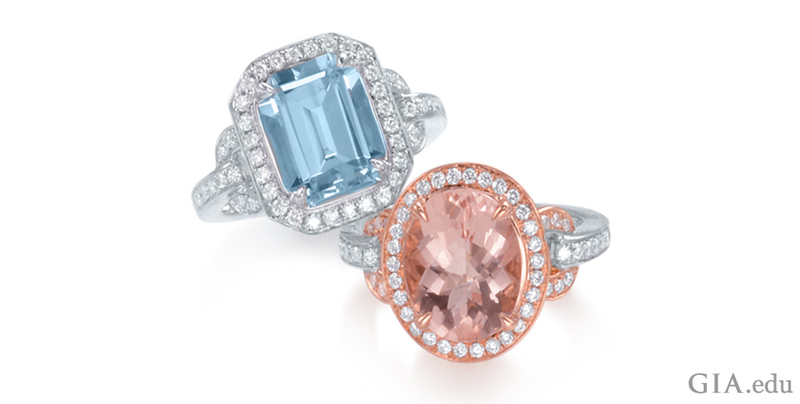 Color is the most important factor when choosing colored gemstones. The very best colors can be stunning, but they are also rare. 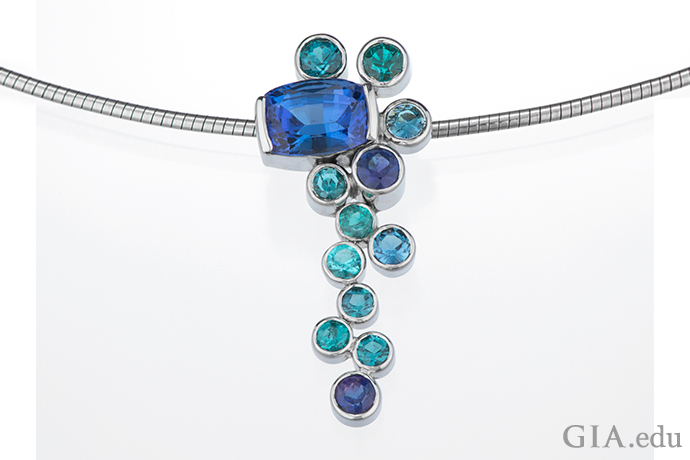 As a result, differences in color usually have a profound impact on the price of the gem. 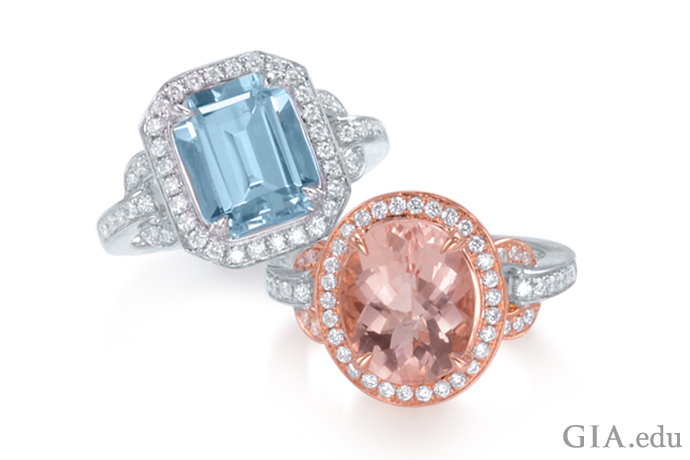 Clarity, carat weight and cut also affect the price of a colored gemstone. For example, emeralds typically contain inclusions visible to the naked eye. Eye-clean emeralds are especially valuable because they are so rare. 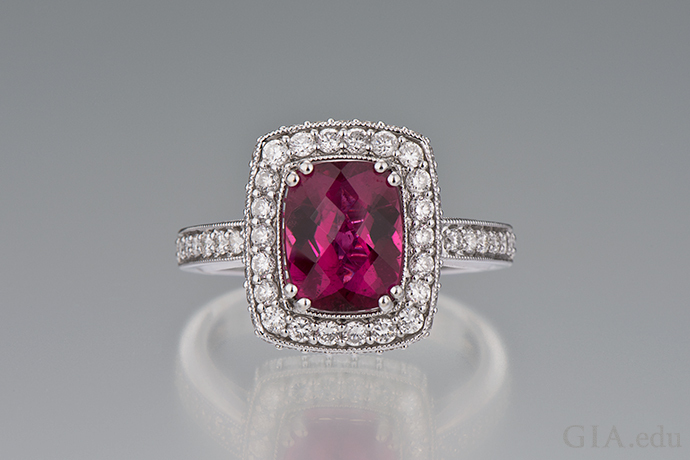 Likewise, fine-quality rubies over 1 ct in weight are very rare, so the per-carat price is significantly higher for larger stones. A well-cut colored gem is going to be more beautiful – and more valuable – than one that is poorly cut. 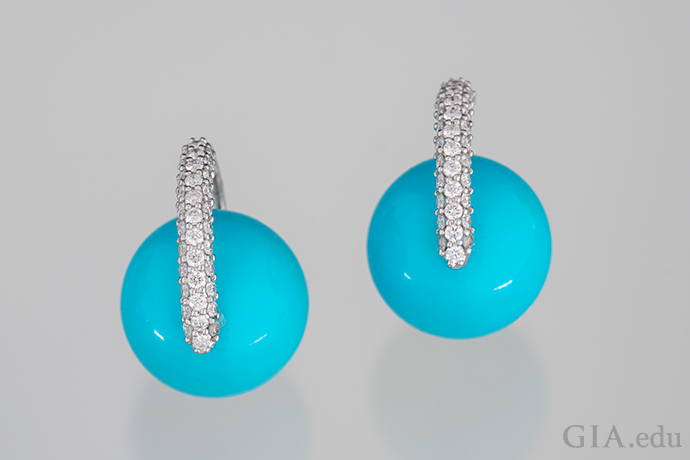 Colored gems are also routinely treated to improve their appearance. For example, most emeralds are fractured filled (that is, oils or resins are introduced into surface-reaching fissures) to enhance their apparent clarity; in some cases, a green dye is used to improve the apparent color. Rubies may also be fracture filled. In some lower-quality material, the filling is so extensive the ruby will break with a minor knock. 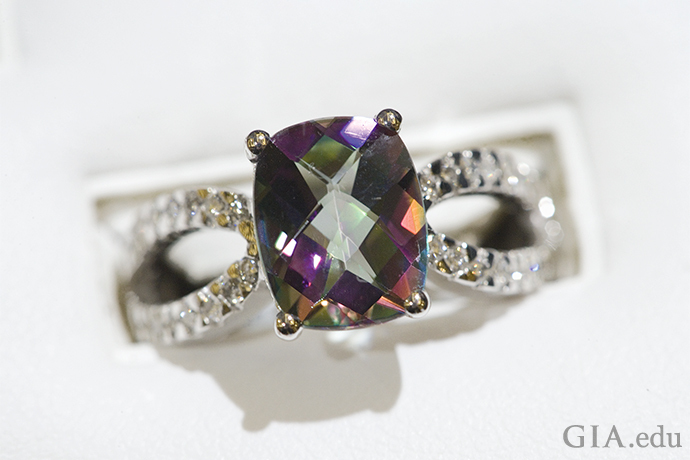 Many gems are heat treated and/or irradiated to bring out their most attractive color. Other gems that are routinely treated include jadeite, pearls, tanzanite, turquoise, topaz and sapphire. As with diamonds, though, treated colored gems are not as valuable as their untreated counterparts. However, they are good candidates for souvenirs and mementos. Just be sure you know what you are really buying. Man-made, also known as lab-grown or synthetic, colored stones have been in the marketplace for more than a hundred years. Today, lab-grown rubies, sapphires, emeralds, opals and amethysts – among many other colored gems – are common. Most man-made gems can only be conclusively identified by a trained professional, and some require the skills and equipment of an advanced gemological laboratory. There is nothing wrong with purchasing a man-made colored gem, but the fact that it is lab grown must be disclosed so you know what you’re buying. A man-made gem typically is much less expensive than a natural gem of similar color and clarity, so you should not pay a natural colored stone price for a synthetic stone. Again, sellers in the United States are legally required to disclose whether a gem is treated or man- made, but this may not be the case on your cruise ship or in the country you’re visiting. As with diamonds, insist that the salesperson provide written confirmation that the gems in the jewelry you are buying are what he stated. If natural and not treated or lab grown, the statement should be clear. If they are treated, it is important to know the method used. If you’re thinking of buying a colored gemstone, we suggest that you research the gems that most interest you. Learn about the qualities that create value for each gem and the treatments they might undergo to improve their appearance, as well as whether or not they have synthetic counterparts. You’ll find helpful buying guides for 26 of the world’s most popular gemstones in the GIA Gem Encyclopedia, along with a wealth of information about their sources, history and lore. In addition, check with local jewelers or online to get an idea of pricing. A little research can make you a savvier, safer shopper. Buying a diamond or colored gemstone – whether it’s in an engagement ring or another piece of jewelry – is an emotional, symbolic purchase. It can also be an expensive one. In addition to arming yourself with knowledge before you shop, you can protect yourself from disappointment in other ways. Second, be wary of the term “certified” diamond or “certified” gemstone and ask to see the actual laboratory report. Many jewelers issue their own certificates, which are not independent assessments of quality or value. To make sure scientific evidence backs up the seller’s claims of quality, insist that the gem come with an independent and unbiased report from a well-respected international grading laboratory, like GIA. Third, ask for a GIA diamond grading report before you buy any diamond. 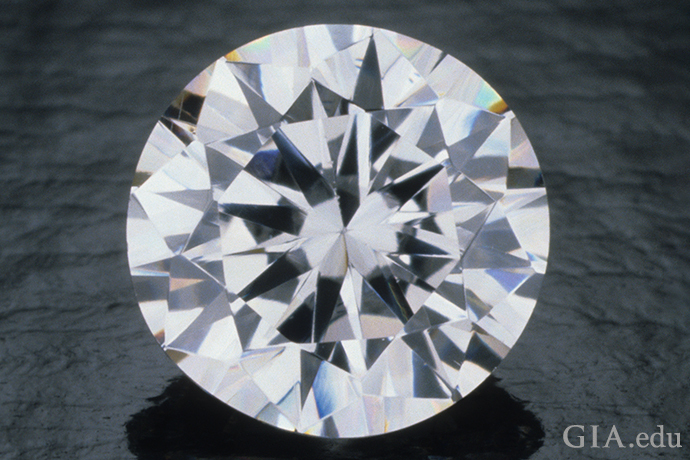 GIA not only developed the 4Cs, but it has also defined the grading terms and processes used to objectively determine diamond quality. A GIA report is your assurance that the diamond you’re purchasing is a natural diamond – not a synthetic or simulant. It will give you an assessment of the diamond’s 4Cs as well as its polish, symmetry and fluorescence. It will also have a plotting diagram of the diamond, in addition to disclosing any known treatments that may have been applied to alter the gem’s color or clarity. 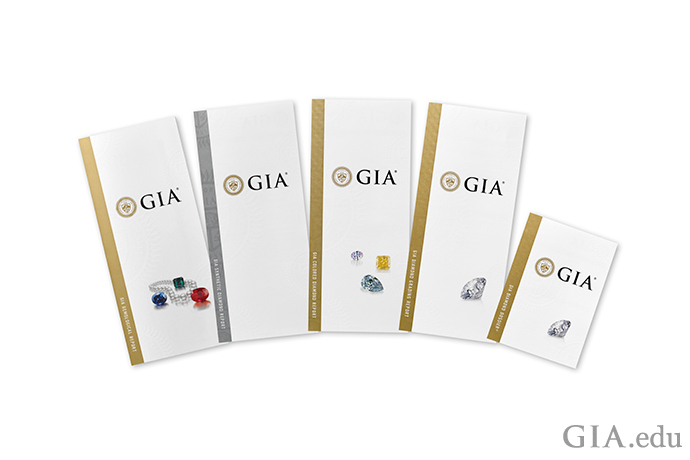 Independent and unbiased, GIA reports put the power of science and information in your hands. That lets you make a smart diamond and colored gemstone purchase for a memorable occasion. 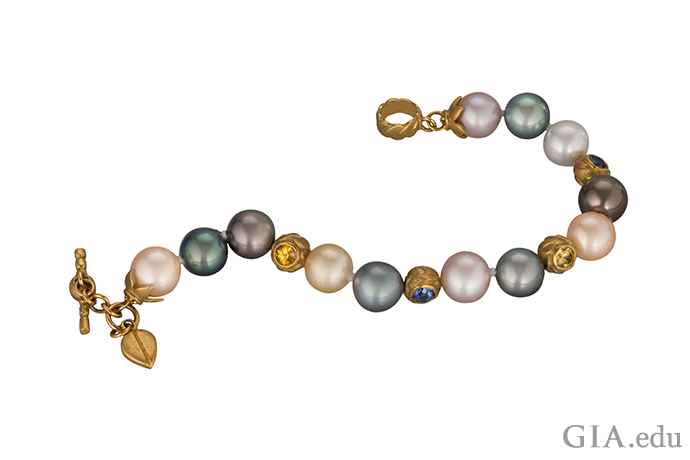 GIA also provides unbiased reports for colored gemstones and pearls. A GIA report identifies the gem material, states whether it is natural or synthetic, and discloses any detectable treatments. In addition to a photograph of the gem, the report contains details about its cut, shape, weight, measurements and color. It may also include an opinion on the geographic origin of the stone. TIP: Use the GIA Retailer Look Up to find GIA-graded diamonds and gemstones, along with jewelers who carry them or have GIA-trained professionals on staff. Now that you’re home, you’ll want to get the diamonds and other jewelry you purchased on your cruise or in port appraised and insured. An appraisal will tell you what they’re worth; getting the pieces insured will make sure you are reimbursed should they get lost or stolen. To enjoy your new gems for years to come, be sure to give them the care they deserve. 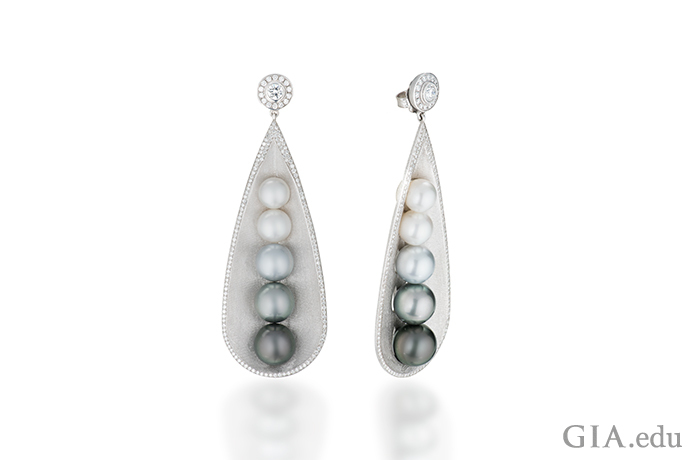 When storing your items, don’t place diamonds next to softer gems such as tanzanite or pearls. Even diamonds rubbing against diamonds can cause scratching. Separate your jewelry and check it periodically for damaged prongs or clasps. To keep your jewelry looking its best, you should clean it regularly, too. But be careful. Ultrasonic cleaners can damage some gems, such as opal, turquoise, tanzanite and pearls. Treated gems may also require special care. For example, fracture-filled emeralds should not be cleaned with steam or ultrasonic cleaners, as these methods may remove the filler used to enhance the stone’s apparent clarity. You will avoid a lot of heartache if you learn which methods are safe for your jewelry. In most cases, a soft brush and warm soapy water are all you need. Congratulations! You’ve bought a keepsake: a ring, bracelet or necklace you love. You stuck to your budget, were careful about the contracts being offered, and studied value before you shopped. The appraisal confirmed your good judgment. You have the insurance and a safe place to store your new purchase, and you know how to care for it in the future. Now it’s time to kick back in your favorite chair and show off your cruise ship photos – and your sparkling memento. Find a retailer that offers GIA-graded diamonds. Use your GIA report number to look up your report results. 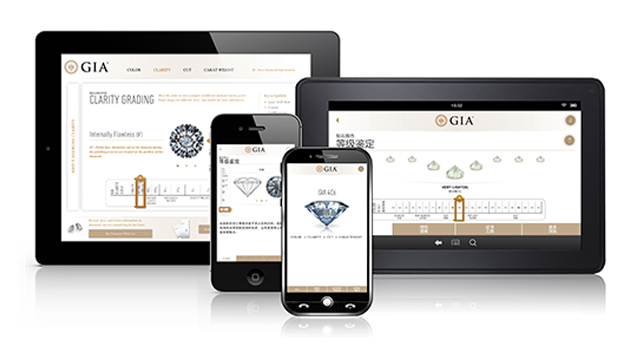 Learn more about buying a diamond with the GIA 4Cs app. 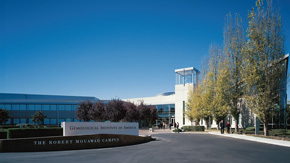 Established in 1931, GIA protects the public through gemological research, education, impartial gem identification and grading services, and instrument development.